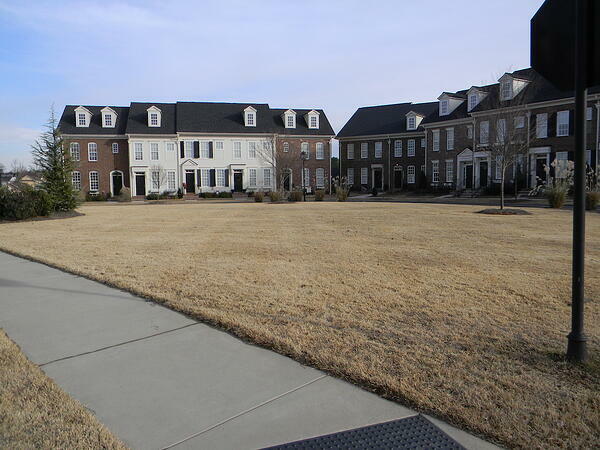 Your new home is finished, but the lawn is bare. Visions of muddy shoeprints on your pristine porch swirl in your head, and the months until spring seem to be dragging by at a torturous pace. Thankfully, you won’t have to face the problems of excess mud or erosion of bare earth. Warm season Zoysia, Centipede, and Bermuda turfgrass varieties may be installed while sod is dormant during winter. What does “dormant” mean? Dormant warm season grasses are brown, but they aren’t dead. The sod is “hibernating” until warm weather signals green-up in the spring. You can install dormant sod to prevent erosion and take the proper steps to ensure it roots well in the spring. 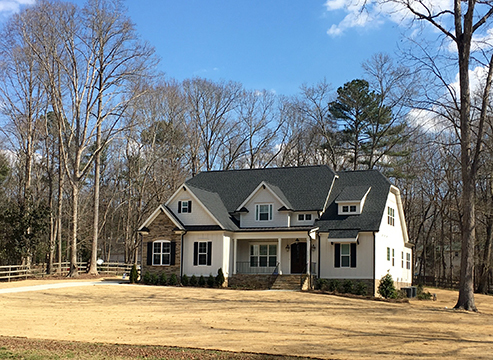 Proper soil preparation, sod installation, and maintenance will help you ensure rooting and green-up in the spring. Follow these steps for installing dormant sod for the best spring green-up. 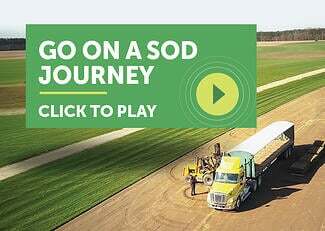 First, read Steps 1-5 of How to Lay Sod . You will follow these directions with a few exceptions. 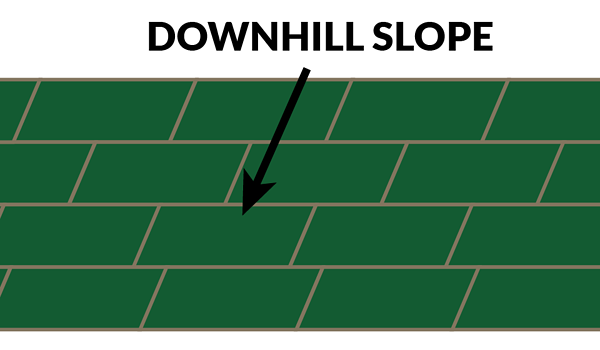 When installing dormant sod on a slope, lay the sod perpendicular to the slope. Remember to lay the sod pieces like bricks by staggering the joints in each row. The sod will not root extensively during dormancy, but the weight of the sod will provide erosion control needed during winter. 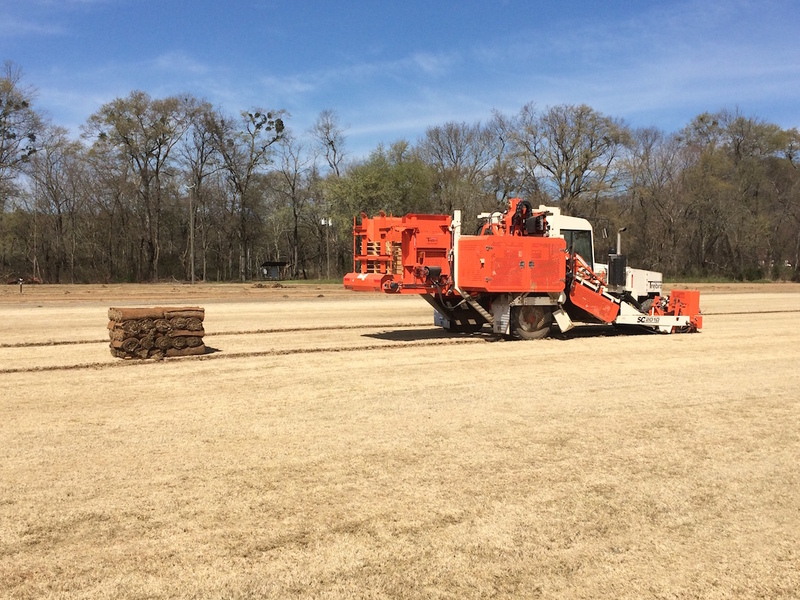 Roll sod with a sod-roller from your local equipment rental store. Fill the sod roller with water and roll it across your lawn in a grid-like pattern. This will ensure good soil/sod contact and eliminate air pockets that cause excess drying and winter damage. Water dormant sod immediately after installation and through dormancy to keep it moist until it turns green and takes root in spring. Dormant sod requires much less water than sod laid in the summer. However, be careful to pay attention to water requirements each week, especially on cold, windy days. 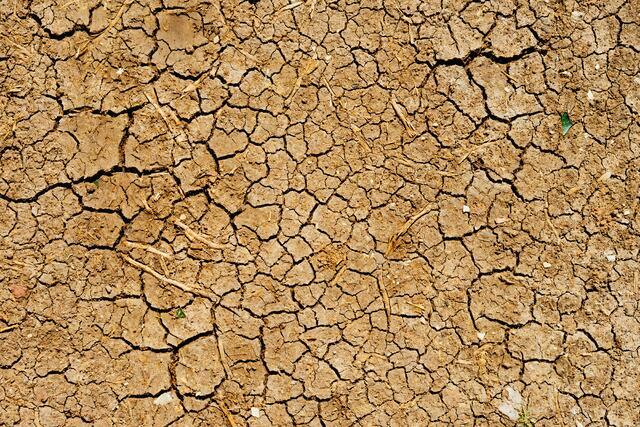 A cold, dry wind will quickly dry out rootless, dormant sod, but keeping it consistently moist will prevent desiccation and death until roots form in spring. In colder climates, make certain in-ground automatic sprinkler systems are properly drained to avoid winter lawn damage. Do not apply herbicides until the sod is well rooted in spring. The only exception is the application of broad-leaf herbicide with 2,4-D, which may ONLY be applied in accordance with label instructions. Winter weeds will usually pop up in newly sodded lawns with proper fertilization and watering. If this happens, mow and discard the clippings. Once the sod is rooted, apply the appropriate fertilizer, fungicide, and weed control products that are approved for your specific lawn type. Check the label on your products to make sure it’s approved. Once the turf begins to green up in the spring, follow our Lawn Maintenance Guide for your specific turfgrass variety.